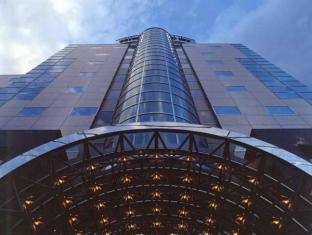 The 3-star Hotel Livemax Sapporo offers comfort and convenience whether you're on business or holiday in Sapporo. The hotel has everything you need for a comfortable stay. Restaurant, car park, elevator are just some of the facilities on offer. Guestrooms are designed to provide an optimal level of comfort with welcoming decor and some offering convenient amenities like internet access – LAN, bathtub, refrigerator, non smoking rooms, microwave. To enhance guests' stay, the hotel offers recreational facilities such as massage. Hotel Livemax Sapporo combines warm hospitality with a lovely ambiance to make your stay in Sapporo unforgettable.